What retirement options do you have? Often, in spite of our best efforts, retirement doesn't turn out as pretty as we’d hoped (though, if you follow our plan, yours will!). It’s in times like these that knowing the basics of these financial tools will allow your retirement to be best put into practice. Often it’s the things we don’t plan for, such as long term care, that sneak up and bite us. Having a working knowledge of the basic tools out there, and where to turn when life gives us surprises, is essential to navigating these pitfalls. The most important thing to note is that there are options out there and those options are often different from what the press would have us believe. 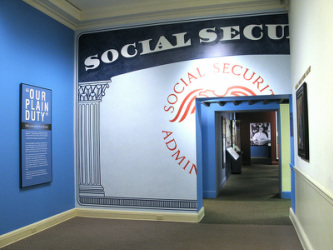 We are often told what a wonderful benefit Social security is, and how awful reverse mortgages are. We must be wary of doing what we hear on the radio, or avoiding good tools because a friend heard it was bad. Get educated and make wise choices! O - Get educated. Print off and read our Social Security and Reverse Mortgage Fact Sheet.